Fully automatic Rising Bollards with Security Bollards, Manual Bollards. The products are widely used in many occasions such as the city traffic, the army and the gates of the national key organs and surrounding areas, pedestrian streets, highways, toll stations, airports, schools, banks, large clubs, and parking lots. Through the restrictions on passing vehicles, the safety of the main traffic facilities and places is effectively protected. 1. The buried road pile equipment is mainly composed of Security Bollards, hydraulic transmission station and electric control part. 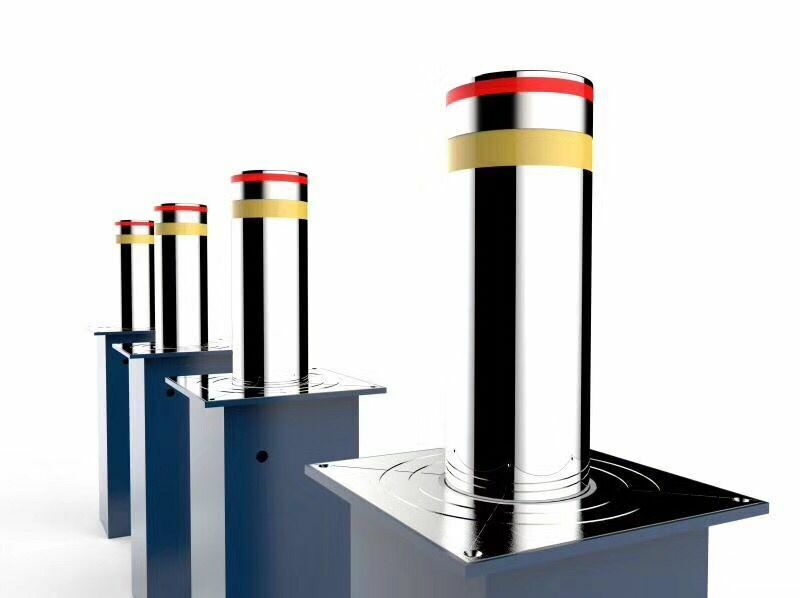 Security Bollards: It is welded with 304 GB stainless steel (seamless steel pipe), which has high-strength bearing capacity and anti-collision ability; There are no electrical and circuit settings in the column body, waterproof and safe. The device is embedded in a designated position on the lane or at the Gate, and the vehicle is restricted by the instructions of the on-duty personnel. 2. Hydraulic transmission station: The hydraulic transmission station is mainly composed of fuel tank, manual oil pump, full hydraulic solenoid valve group, high-power motor, oil pump, oil cylinder, oil gauge, high-pressure hydraulic oil pipe, etc. It is the power source of the whole roadblock system and the device is installed. On the side of the Security Bollards, it is used with the Security Bollards (the speed of the ascent and descent can be changed by adjusting the valve). The power can be manually lowered and the shutter can be lifted manually. 3, electronic control system: automatic electronic control part: PLC control board, leakage switch, contactless noise and high life contactor and other precision start time settings (anti-cylinder stroke generated after the impact of the increase in the service life of the cylinder). 2, power supply: 380V control voltage 24V. 2, through the pressure: the minimum 80 tons of container trucks. 6, the working temperature: -30 °C ~ 75 °C (suitable). 7, storage environment: -0 °C ~ 65 °C, rain moisture and dust. 9, Material: 304 stainless steel and A3 steel. 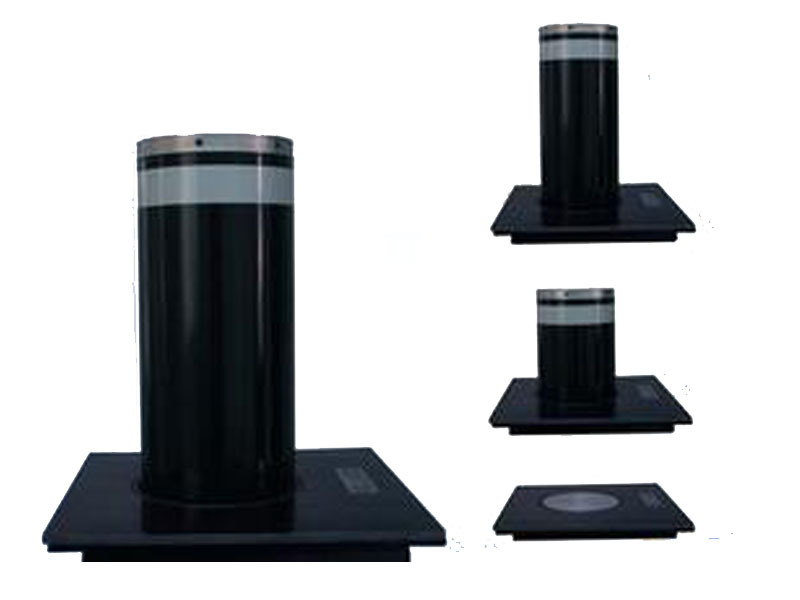 10, RS 1001 Security Bollards Specifications (mm): length 500 × width 500 × height 820, lift height (mm): 600mm. Previous: What is full automatic bollards? Next: What About The Security Hydraulic Bollard Factory?